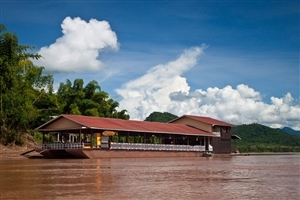 From your hotel, you’ll head for the pier to board the Luang Say cruise boat ready to set sail for Pakbeng at 0700. En-route, you’ll take in a number of stops; the first of which comes when you arrive at the Pak Ou Caves, around two hours away from your starting point. Here, you can explore the two large caves that have been carved from huge limestone cliffs and examine thousands of Buddha statues that are to be found within. 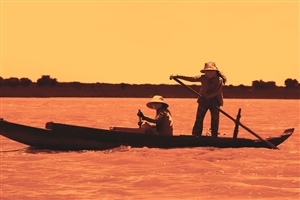 After a buffet lunch onboard the boat, you’ll continue to cruise along the Mekong before stopping in Ban Baw to examine how traditional rice alcohol is created. You’ll then arrive in Pakbeng for the overnight halt, with the possibility of watching the sun go down if the river current has allowed you to arrive in time. 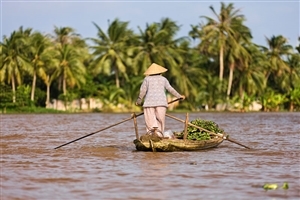 A continental breakfast is available from 0600 before the boat leaves an hour later to continue with the journey up the Mekong. A stop at the village of Ban Houy Phalam provides an insight into rural life for some of Laos’ hill tribes before you continue onwards towards Huay Xay – arriving at your final destination before 1700.